We completed the first three rounds of a six round chess tournament this evening. This is an individual tournament, not a team event like the last one. 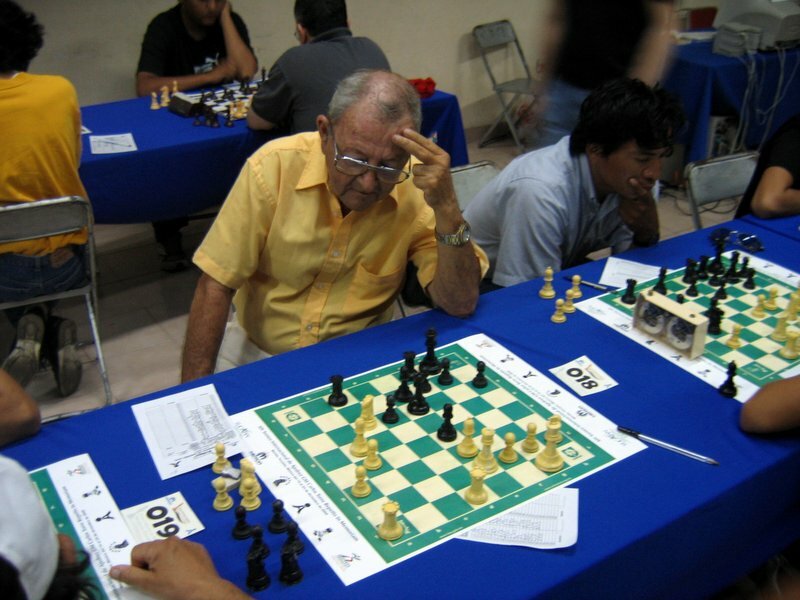 Round 1 was Saturday night against a very nice older man named Carlos. I would guess that he is probably 70+ years old. He played well and it was obvious from the outset that he was the superior player. Our round lasted almost 2 hours though. That was definitely my longest game to date. I was doing very well on an offensive tact and he seemed to just be playing defense. What I did not realize was that he was slowly getting set up. Once, I was just one move away from setting up a checkmate against him. But that is when he started his attack and forced me into some moves which blew my strategy. I held on to the end. I even made him work real hard to not stalemate me. Round 2 was against my team captain from the last tournament. Daniel and I have played several times against one another in class. Daniel has always won. So, he had a psychological advantage going into the round this morning. He made an aggressive move early in the round putting one of his knights behind enemy lines. I knew it was a bold move for a reason, I just never could displace it or capture it. That ended up being my downfall. He sat there with that knight not really threatening me in any way, but always present. When it came time to finish the game, it was very obvious that he was in control from early on. If I get a chance to get my notation back from that game I will post it with comments. Round 3 was this evening and I played against Andrés. He is probably 14 years old. I have seen him around some. I got one move on him that I thought was going to bust up the game in my favor. He had a bishop sitting off to the side that neither one of us considered a threat at any time in the game. When I made my stellar move, it took him about 10 minutes to find that bishop (which I never saw) and make his move. That was the end. He won. So my record is 0-3 through 3 rounds. Round one was well fought . He thought he had the win at a couple of points, but then she forced a few moves that cost him his opportunities. He lost that one. Round two was easy. He had a bye. Somehow though, there was another boy who had a bye. After 30 minutes of enjoying his free point, the head judge came to him and asked him to play with the other boy. They sat down and started talking. I am not sure if they actually started their game or not. But their conversation was something to the affect that they both won a point for having a bye. If they play, best case scenario is that they will tie and get a half point. Or, one will lose the game and their point. They went to the judge and said they would not play. I was glad to see that. I was quite torqued over the fact they they would be awarded a point as if they played and beat their opponent, then be told that that game did not count and they would have to play again. 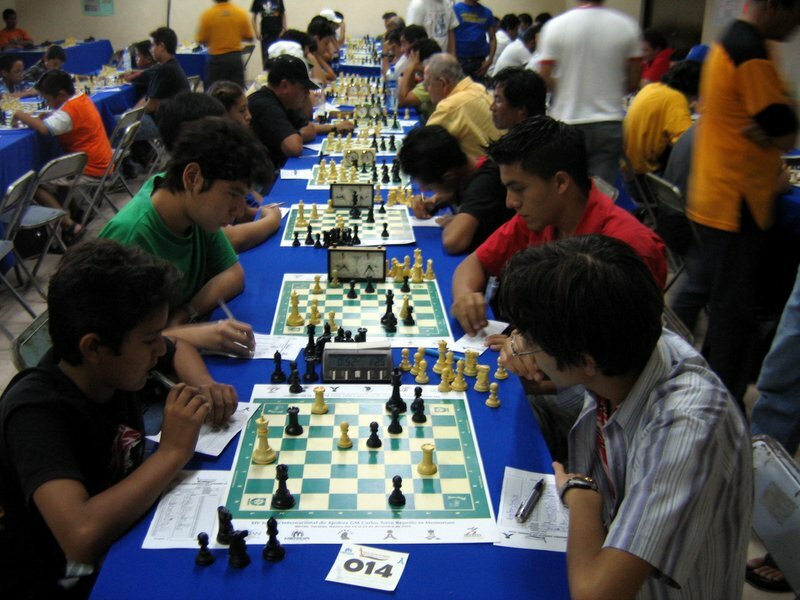 The Chess Association of Yucatán will be getting a letter from me concerning this. This is the second time something similar took place. Last time it was against me. Round three had his team captain from the last tournament as his opponent. Carlos is ranked as the number 1 player in that division. My son is ranked 12th out of 18. The fact that Carlos won every game in the last tournament and that he is ranked number 1 and that my son has only ever tied against him once before, kinda spelled out a bleak ending. My son was not disappointed. He knows he will get more chances to play Carlos in class. So that leaves us with scores of 0 for me and 1 for my son. We have three more rounds next weekend. These things are kinda fun.